Just one of the really awesome things about our new location is that we'll be getting help and support from the family farmer who normally tends this property on their own. This includes use of their tractor and help from their team as needed. This week we broke ground, using the tractor to plow up the field, doing over it again with the disker to smooth out the clumps, going over it a third time with a tiller, as needed, and finally using another walk behind machine to create raised beds. I've often seen illustrations of freshly plowed soil and have never really understood the inherant beauty in that, UNTIL NOW! 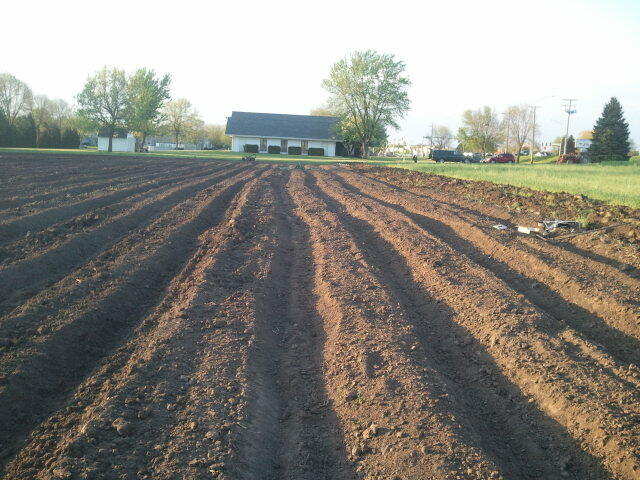 After spending all day in the premature 90 degree temperatures, freshly prepared earth has never looked so beautiful!! !